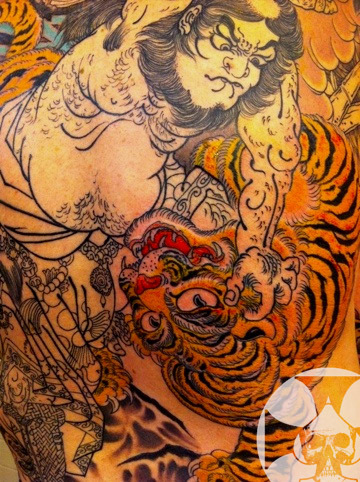 Progress on Howard’s back by Forrest. 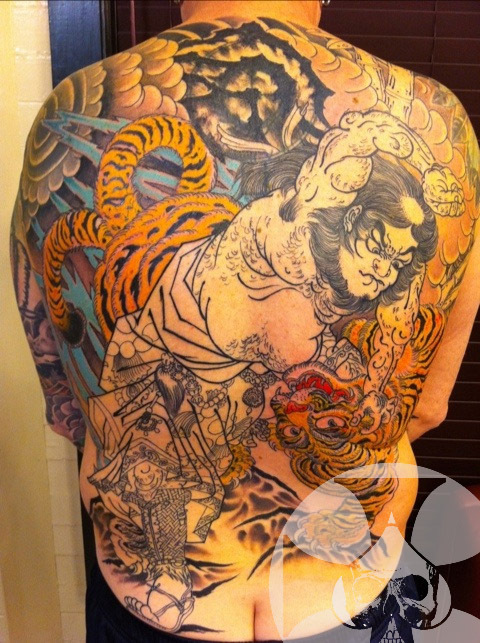 Some progress on Howard’s back and a detailed photo. 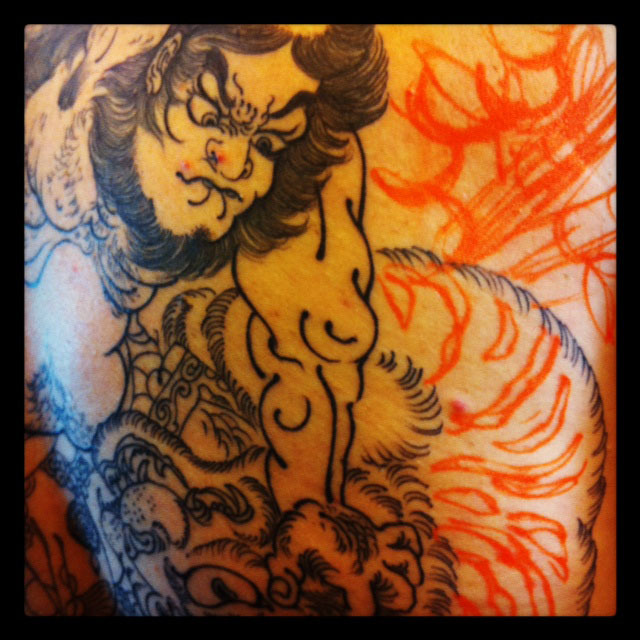 Here are some photos showing Midas starting John’s “Dante’s Inferno” themed back piece. 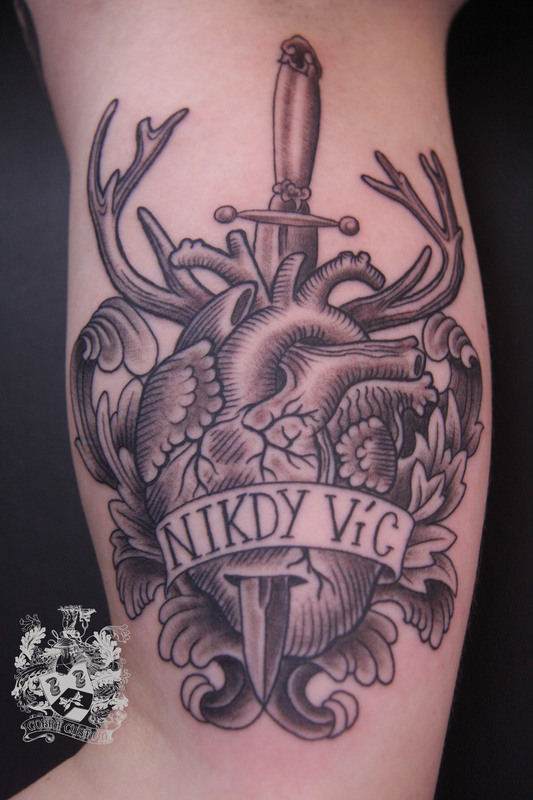 Bridgett’s black and grey, heart, dagger and deer antler combo done by Mr. Ryan McNamara. 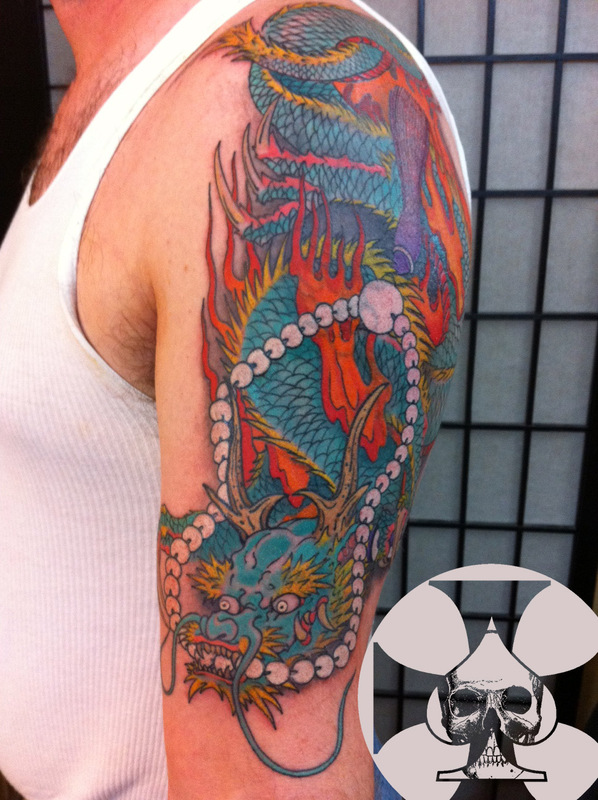 Some progress photos on Alexis’ on going work from Forrest. 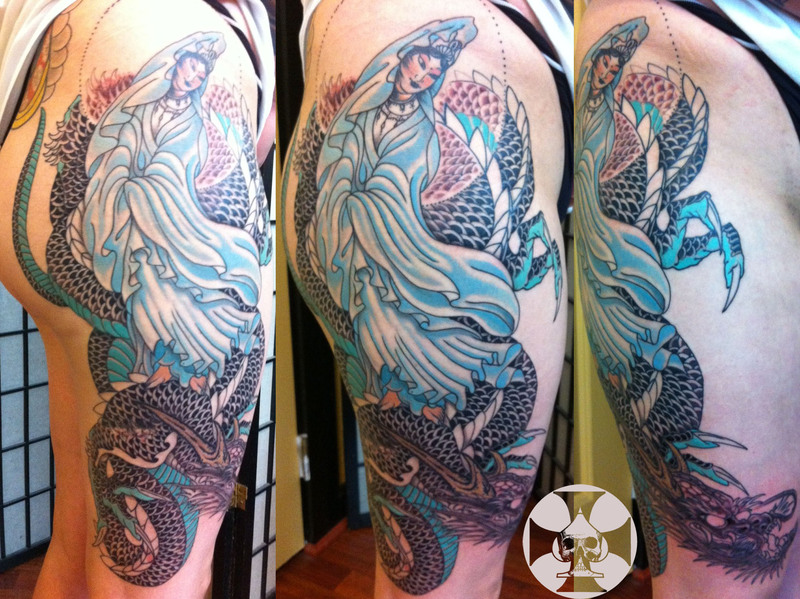 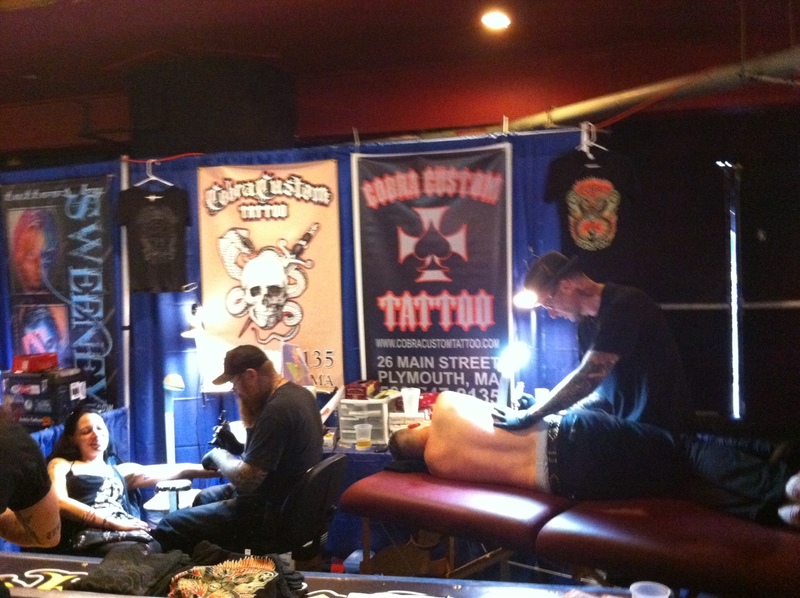 Photos of Midas tattooing the 2nd sitting of Dave’s Kraken vs Ship tattoo.